Formed in the Chicago suburb of Cicero near 14th and 51st Court. One of the many impressive Noble Knight tags these guys did, they put out some excellent tags, I hope to get more examples soon. This 14th and 51st Court 1980s. In 1968, the suburb of Cicero first started gang banging because there was a need to protect the neighborhood after the Martin Luther King Riots of 1968 that brought several African American gang members to march on the city against inequality and the assassination of MLK. 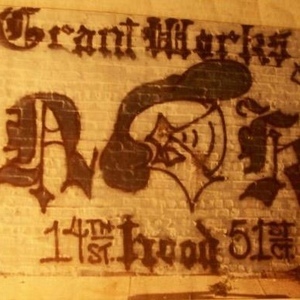 The Grant Works section, was seen to be in need of protection the most from African American gangs that would wonder over from the North Lawndale neighborhood that was a mile or less away. The Arch Dukes were the main gang that ruled the Grant Works section in the late 1960s and early 1970s. In the early 1970s some young kids got together that had older brothers and older cousins that were Arch Dukes and Berwyn Greasers. These kids decided to start their own gang that they called the “Noble Knights,” that was situated at the corner of 14th and 51st Court. The first leader and main founder of the club was James Banfi (People Vs. Santiago August 24, 1982). Legend says it that “Crazy Pete” was the founder; however according to a news article from the Chicago Tribune on May 9, 1979, Crazy Pete was only 17 years old in 1979, making him too young to found the Noble Knights, and even then he was only the leader of the “Junior Noble Knights.” the “Senior Noble Knights” and the rest of the nation were ruled by a council that Pete was indeed a part of. Anyway, the Noble Knights gained more popularity throughout the 1970s and by the later 1970s they were becoming more popular than the Arch Dukes. 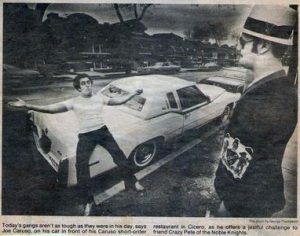 The Noble Knights gained notoriety in 1978 when a member of the Gaylords street gang named “Psycho” from the north side of the city came to a burger king and bumped into a Noble Knight named “Slick Jim.” Somehow the two got into an altercation and a fight broke out that very quickly ended when “Slick Jim” delivered a karate chop to the Gaylords’ throat and rendered him unconscious. As it turned out the Gaylord was put in a coma and never came out of it and the family made the tough decision to pull him off life support, as a result, Slick Jim was charged with involuntary manslaughter. The Gaylords then declared war on the Noble Knights and invaded their neighborhood, several shootings and stabbings later, both organizations were a little damaged from it. The Gaylords had the goal of whiping out the Noble Knights but the Noble Knights lived on and became stronger in later years. In the year 1980, the town of Cicero was invaded by a gang from neighboring South Lawndale known as the “Two Two Boys” that settled at the intersection of 14th and 49th Court which was exactly two blocks from the Noble Knights’ stronghold and this of course sparked a major war between the gangs. The Noble Knights were not only dealing with the new war with the Two Two Boys, they also picked up the war the Arch Dukes had with the Ridgeway Lords that were from neighboring Little Village. With this small wave of Latino migration to Cicero, also brought the Latin Kings from Little Village. When the Latin Kings arrived the Noble Knights were first unhappy for an extremely short time, mainly because the Kings were Latino and outsiders, but once the Noble Knights saw Latin Kings go at it with Ridgeway Lords and Two Two Boys, they became allies; therefore, the Latin Kings, Noble Knights and Twelfth Street Players all became allies because they had common enemies. The ironic thing is the Gaylords also joined the People nation in 1981 which meant Noble Knights and Gaylords had to now be allies and the war to stop. The Twelfth Street Players were getting picked on by the Two Sixs from Little Village as well, and the Latin Kings hated them deeply. As it turned out Ridgeway Lords, Two Six and Two Two Boys were all a part of the Folk Nation alliance. The Latin Kings were a part of a rival alliance known as the People Nation. The Kings then easily talked the Noble Knights and Twelfth Street Players into joining the People Nation. In the early 1980s the Imperial Gangsters arrived in the Grant Works area but the Noble Knights prevented them from ever growing strong. By the mid 1980s the Arch Dukes had completely went extinct and the younger members turned out as Noble Knights making the nation stronger. When the Latin Counts and Bishops arrived by 1982 all three gangs hung out and were really close. 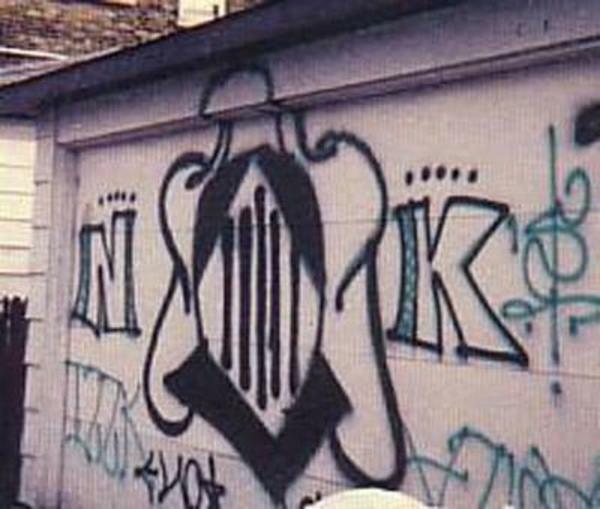 The Noble Knights started out as an Italian gang throughout the 1970s and early 1980s but by the mid 1980s they started taking in a select few Latinos, but by the late 1980s the doors were wide open to allowing Latino youths in the gang. The Noble Knights would also spread into the suburbs of Berwyn and Lyons by 1987. In 1991, all hell broke loose in the People alliance when Latin Kings and Latin Counts went to war. The war was so bad that they treated each other like Folks. Both organizations went up to their allies and said it’s either us or them, there was no bargaining, you either would remain allies with one gang or allies with the other and if you sided with one you would be at war with the other. This was a tough decision indeed for the Latino and white gangs that were given this proposition city wide and suburban wide. In Cicero the Noble Knights and Twelfth Street Players chose to stay allied with the Latin Kings and that meant war with Latin Counts. As the 1990s would progress several more gangs invaded Cicero that were all a part of the Folk Nation which meant more costly gang wars for the Noble Knights, more members were facing incarceration and many were retiring from gang life. Cicero youth were more interested in joining the larger gangs in later years and many flipped out of the Noble Knights to join the Latin Kings. The Noble Knights eventually shrunk to less than half the size they were in the 1980s but still remain in Cicero. What happened to James Banfi? What year did Crazy Pete take over? What year did Crazy Pete die? I heard he died of an overdose, is that true?